Step 1 Mix all ingredients together, then portion into 4 servings. 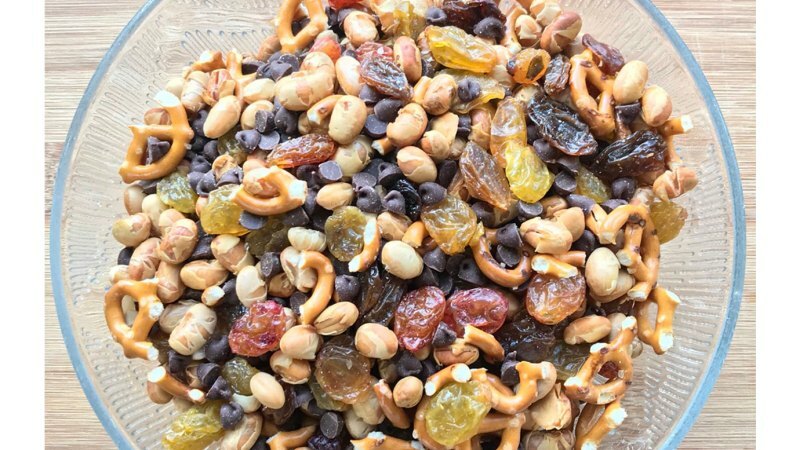 Trail mix made with soy nuts makes a great post-workout fuel because it provides the ideal carbohydrate-to-protein ratio without driving up the fat content. Take a to-go container of this mix with you and enjoy it after exhausting exercise to fuel your muscles until you can get to your next meal.